Travelindustrydeals: Considering traveling to Costa Rica? Costa Rica Nature Escape has the deals! Considering traveling to Costa Rica? 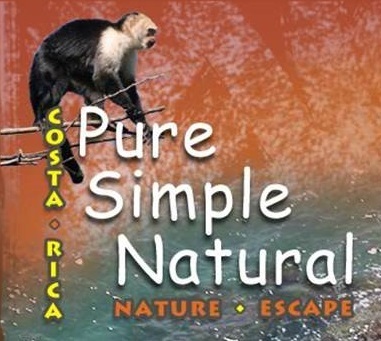 Costa Rica Nature Escape has the deals! Costa Rica Nature Escape has been a tour operator and travel agency since 1994. Its governmental license is OT-340, and it has earned level 3 CST for its sustainability efforts. Visit the wonders of Costa Rica, the country that encompasses 6% of the world's biodiversity. It is an ideal vacation spot for groups, families, couples, and individual travelers who are seeking close-to-nature experiences. Costa Rica offers a great variety of natural venues, more than 25% of its land and the majority of its waters are protected. Encounter a wide variety of forests, breathtaking flora and fauna, active volcanoes, and tropical beaches with warm sea water, always enhanced by the friendliness of the "ticos" (native Costa Ricans). If you enjoy a little adventure, Costa Rica Nature Escape can arrange for adrenaline-filled tours on various levels and for all ages, like white water rafting, zip-lining, and more! As if starting up a business and marketing a new brand is not challenging enough on its own merits, doing it in a new top level domain name space adds its own share of trepidation along the way. When AURA Travel was an online start-up, it was set to revolutionize, commoditize, and standardize the holiday rentals by owner niche of the accommodation market, while providing an online platform that easily facilitates listing, search, and booking of holiday rental properties. The business name the company chose – AURA - has its own historical reasons and drives. This was only half of the challenge. Choosing an online domain name extension was the other half. Because AURA was effectively launching a new online, unknown brand, the domain name extension in itself was considered a quintessential component of the brand. The popular TLDs (i.e., .com domain space) was not only saturated, but also somehow monotonously insignificant due its popularity. Scouting the web for alternatives, AURA arrived at the .travel extension as a part of a number of domain name spaces offering specialization for different industry verticals. The .travel domain made sense instantly. This is what AURA’s new business was offering - accommodation for people who travel - for business, for pleasure, or for no reason at all. What it did, is what travelers needed, whether looking for a place to stay while in vacation around the globe, or booking a weekend escape a couple of hours’ drive away. As much as the domain name made sense, it was initially dismissed, because at the time it was too new and unknown. Let's face it, who is not scared of the unknown? Eventually, however, AURA came back to it and decided to launch its brand new business on a brand new domain name space that made sense to what it did. The company was excited and full of start-up spirit. It was all new and starting from scratch, so why not give it a go? The company was no longer just AURA - it became aura.travel. Now the results speak for themselves. AURA considers its journey so far a great success and is looking forward to further expanding globally. The company will never give up its aura.travel identity for the world. AURA welcomes anyone who wishes to join them - property owners, travelers looking for accommodation, or industry peers wanting to improve the status quo. You can read more about AURA.travel at: http://aura.travel/ Details of the .travel domain program may be found at www.travel.travel and through any .travel authorized registrar listed at www.registrar.travel. Please address any inquiries to info@travel.travel . Costa Rica Nature Escape offers all vacation needs in Costa Rica, from a single tour to a full all-inclusive package. Its prices are below the published prices of its providers, and Costa Rica Nature Escape will design the best itinerary for the visitor, without any additional cost. 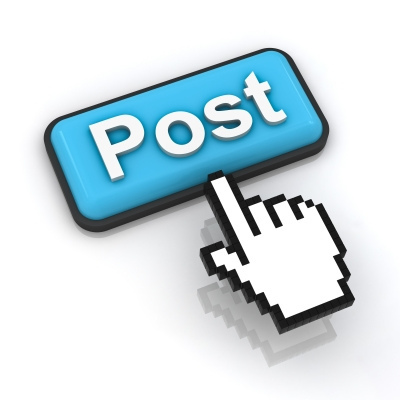 Take advantage of the knowledge and experience of the company’s staff, and read the feedback from its customers. Costa Rica Nature Escape is willing to work with travelers on an itinerary based on their expectations, budget, and preferences until they are satisfied. Outstanding customer satisfaction is #1 to Costa Rica Nature Escape, and this has been proven again and again. Costa Rica Nature Escape is located in downtown San Jose, just a half block from the National Theater and Plaza de la Cultura.